Are you still following the old and common way of storing all your important data and files in your mailbox? Are you worried about data retrieval in case all the data is lost? There is no need for you to panic, because RaviGraphix reasonable competitive Email backup services can relieve you from all your apprehensions of losing your crucial data. Better data backup schedules are necessary to one and all making use of computers with imperative information. Nearly all computers are delicate electronic devices and threats to them are in all places. As a matter of fact, it takes just hardly any accidental clicks of the mouse or worse, one out-of-the-way hardware break down; and your valuable data is gone. 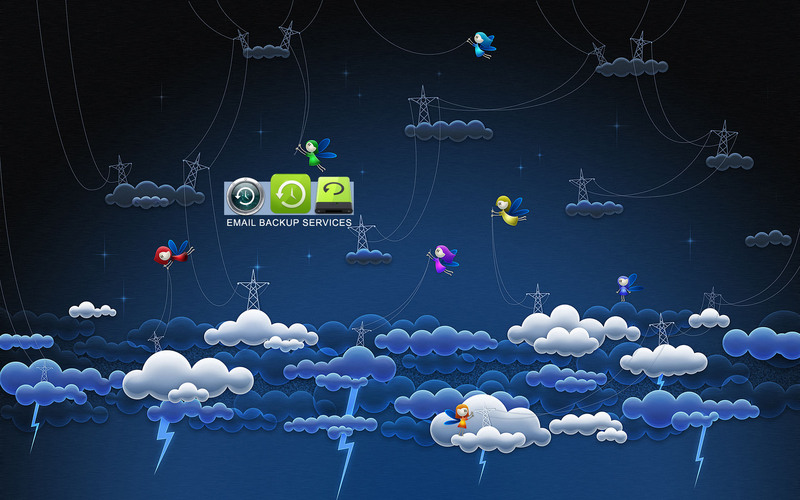 Why You Need Backup Service? No individual or company is resistant to the disaster of data failure. All data stored on personal desktop computers or laptops are in danger, whether it is your monthly sales details, accounts software data, financial information and all of your email, or your home computer with all of your digital pictures and private documents. Using our services, you are able to have regular, on-the-fly backups to make sure your files are kept safe off-site but online to protect yourself against data loss due to damaged equipment, software upgrades, viruses, user mistakes, hackers and theft. Why Your Website & Emails Needs Backup? If you are hosting your website and even though your host backup their servers, you still needs backup solution to safe guard your site content. Many hosts with virtual private, or dedicated servers have a single point of failure: their hard drive. You can automate your site backup using cron which will be safely available on our server 24x7. You don't need to be technical expert to understand the benefits of off-site backup. By having your data at an off-site storage facility which you can access at any time, you have the peace of mind knowing that your valuable information is mirrored and secured.